Los Angeles, CA – September 15, 2017 – The iconic and highly influential Gary Numan today released his 22nd studio album Savage (Songs From A Broken World) via BMG. 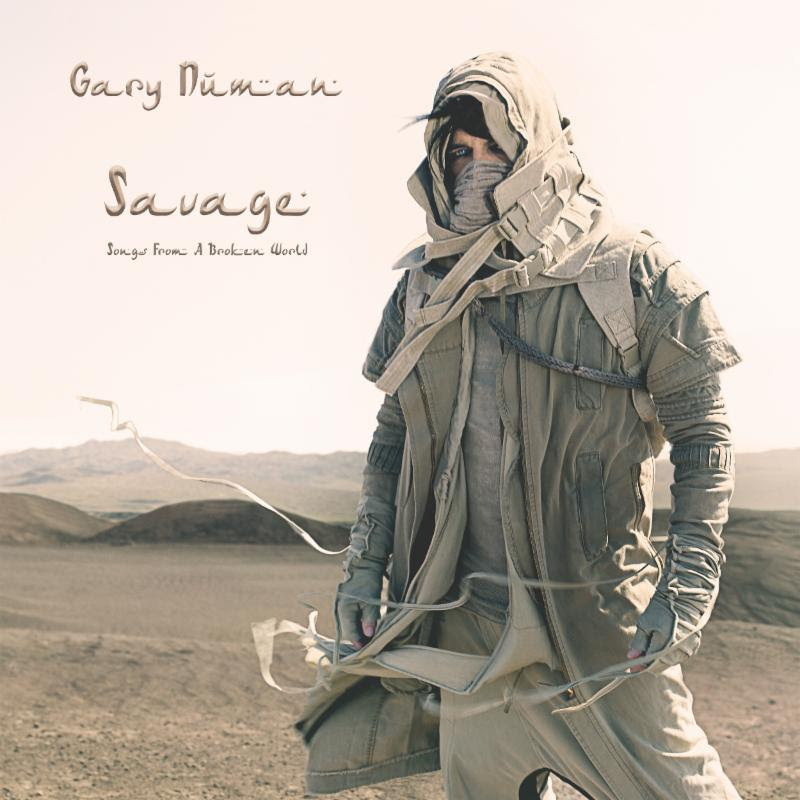 Coming almost four years after his album Splinter (Songs From A Broken Mind) earned the best reviews of his career and his highest chart-placing in 20 years, Savage (Songs From A Broken World) is available now physically and digitally HERE. Savage (Songs From A Broken World) is an album with a narrative that’s set in an apocalyptic, post-global warming Earth in the not-too-distant future. There is no technology left and most of the planet has turned to a desolate desert wasteland. Food is scarce, water even more so and human kindness and decency are just a dim and distant memory. Western and Eastern cultures have merged, more because of the need to simply survive than any feelings of greater tolerance or understanding. It’s a harsh, savage environment, as are the survivors who still roam across it. While Numan was writing the record, Donald Trump was elected President of the United States. It made sense to make him and his climate decisions the catalyst for the apocalypse theme of the album. Numan recently discussed the album’s politically charged lyrics in an op-ed for The Daily Beast and interview with Salon.com. As the project took shape, Numan also set up a Pledge Music campaign to create an experience for fans that would let them see how an album was put together, from the first note to the finished shrink wrapped package. It was a strategy that brought Numan closer to his fans, and allowed him to communicate the blood, sweat and tears that goes into making a record. The campaign grew so successful that Numan consequently secured a record deal with BMG. 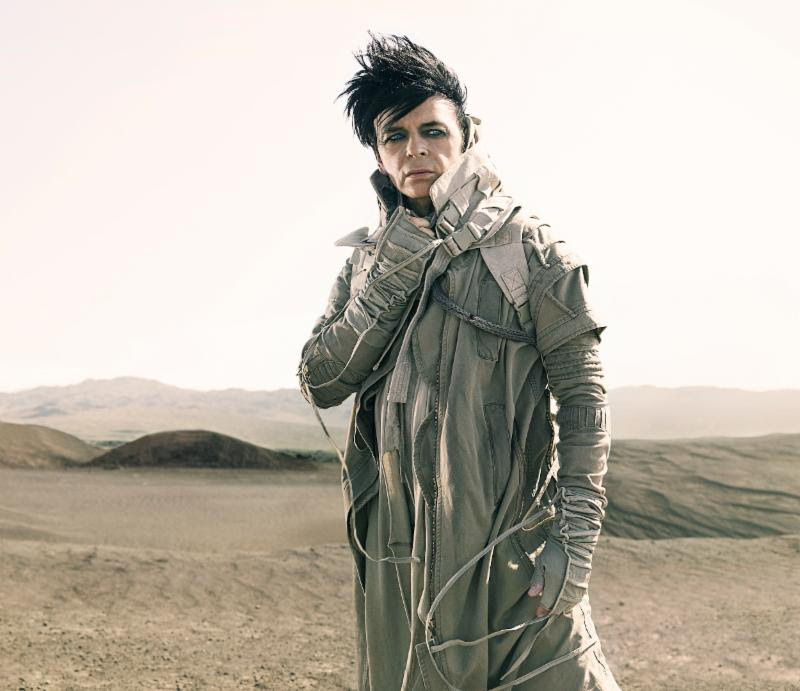 Numan announced the album earlier this summer and shared its lead single “My Name Is Ruin.” It’s a menacing industrial march in which the unrelenting mechanized intensity is countered by the humanity of its sweet, swirling backing vocals which exude a palpable Egyptian influence. It’s immediately captivating but brutally uncompromising: the sound of an artist eager to continue to push both himself and his audience almost four decades after presenting his initial sonic prototype. The accompanying video for the track was directed by visual artist and musician Chris Corner of IAMX. Filmed in the desolate deserts of southern California, it features a special guest in the shape of Numan’s 11-year-old daughter Persia who also contributes vocals to the track. With the foreboding setting and temperatures reaching 48ºC during the shoot, the stunning location was the perfect backdrop for an album that examines a world struggling for survival after the devastation of global warming. Watch the music videoHERE. Savage (Songs From A Broken World) is available physically on CD, deluxe CD, double vinyl, cassette, digital and MFiT formats. The vinyl format adds “If I Said” (track 9) and “Cold” (track 12), while “If I Said” also features on the deluxe CD (track 10).